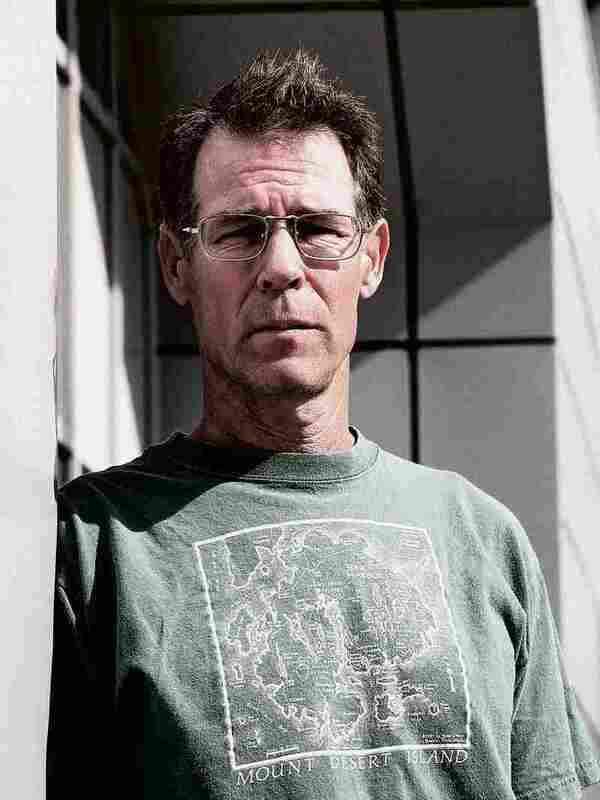 Book Review: 'Shaman,' By Kim Stanley Robinson Kim Stanley Robinson's latest novel, Shaman, paints a vivid portrait of life in 30,000 B.C. It's the story of young Loon, who's destined to become the new shaman of his tribe. 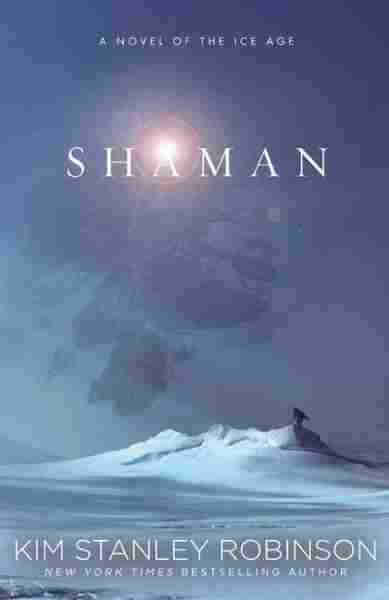 Reviewer Alan Cheuse says the world of Shaman is so authentic, he dreamed he was living in it. Big questions about the origins of consciousness and culture may not be everyone's cup of tea, but if these are things you find yourself thinking about, there's nothing like a seriously composed and compelling novel about prehistoric life — both for illumination, and for some of the most intelligent entertainment you can find. In the past half-century or so, we readers have been treated to a handful (well, maybe two hands full) of novel-length fictions that focus on these fascinating problems: William Golding's The Inheritors; the Finnish paleontologist Bjorn Kurten's The Dance of the Tiger; a trilogy, beginning with Reindeer Moon, by the American ethnologist Elizabeth Marshall Thomas; and the best-selling Clan of the Cave Bear series by Jean M. Auel. To this group of thoughtful and engaging novels — some better written than others, but most of them growing out of a certain amount of research — comes a new addition, from the wonderfully gifted and entertaining science fiction writer Kim Stanley Robinson. Shaman is his 16th novel, and it departs from his usual penchant for imagining the future to take up the equally difficult task of recreating the far-distant past. Kim Stanley Robinson's previous books include the "Mars" trilogy and 2312. Robinson has chosen a broad and effective means for including everything that he knows and everything he imagines about the world of 30,000 B.C. It was a crucial period in the establishment of human society, when Neanderthal and Cro-Magnon lived in an uneasy sort of co-existence, and Robinson presents it in the tried and true narrative form we think of as the novel of education. An adolescent — Robinson calls him Loon — who has been orphaned and taken under the wing of his tribe's shaman and his wife, hits the road and discovers all he needs to know in order to survive. Well, of course there's no road, only a few paths into the deeper wilderness that surrounds the wilderness where the clan already lives. Loon sets out on one of these, into the greater forest on an initiation resembling an aboriginal walkabout — these people think of it as a "wander" — naked, weaponless and without means for making fire, for a good number of days. He survives the perilous journey, which is narrated for us by a disembodied voice that announces his/her/it's presence as "the Third Wind." This mysterious force, like Athena in The Odyssey, comes to assist the hero whenever he seems to have completely exhausted his human powers. And believe me, he needs help — as does the entire tribe — to get through a hard winter and rekindle the fires of spring, hunt for fat-restoring game, and weather the weather that frequently serves as the dangerous backdrop to all sorts of tribal woes and misfortunes. It's all set against a landscape that Robinson describes with the exact and loving care of an inspired geographer: hills, valleys, streams and rivers make up the home of Loon's struggling clan, led by the aging shaman — Thorn — whom, as it turns out, he is destined to replace. As Loon comes of age as a hunter and a man, makes his kills and takes a wife, the endless round of days and seasons assume a palpable urgency; just when it seems as though the boy become adult will triumph over natural adversity, a party of "northers," a separate people who live mostly in snow and ice and have trained wolves to help them track and hunt, kidnap his wife. The perilous trek to find and reclaim Loon's wife makes up only part of this gorgeous book that — like the best of its kind — gives you a feel for a life we might dream about but will never otherwise know. It's rich with a sense of natural forces ruling beyond the visible, with bridges to the world of the departed, and a deep and abiding feeling of life powerfully fixed in earth, water, sky and air, while at the same time attuned to changes in the seasons. It's a connection that these days we no longer feel much of — but Robinson brings it vividly alive, as when on the verge of spring the ice of winter begins to melt, so that "upstream and downstream the river was groaning ... crying out for release, for the chance to run free and see the sun again. ... Big jagged plates were rising out of the shattered patches of river ice, as if something underneath was pushing to be free..." The sight of this pushes Thorn the shaman to push Loon in turn to say the appropriate poem in which knowledge of the changing of the seasons is transmitted from year to year and beyond. "Great salt sea deep trail of the dead," Loon recites as the river unlocks before his — and our — eyes. "We burn holly for you to break the ice."